This coin has been handed off at a school in O’Fallon, Missouri. As this coin takes flight I hope that it will find many stops along the way and be an inspiration to those who's life's it touches. Be kind and loving and fly on! 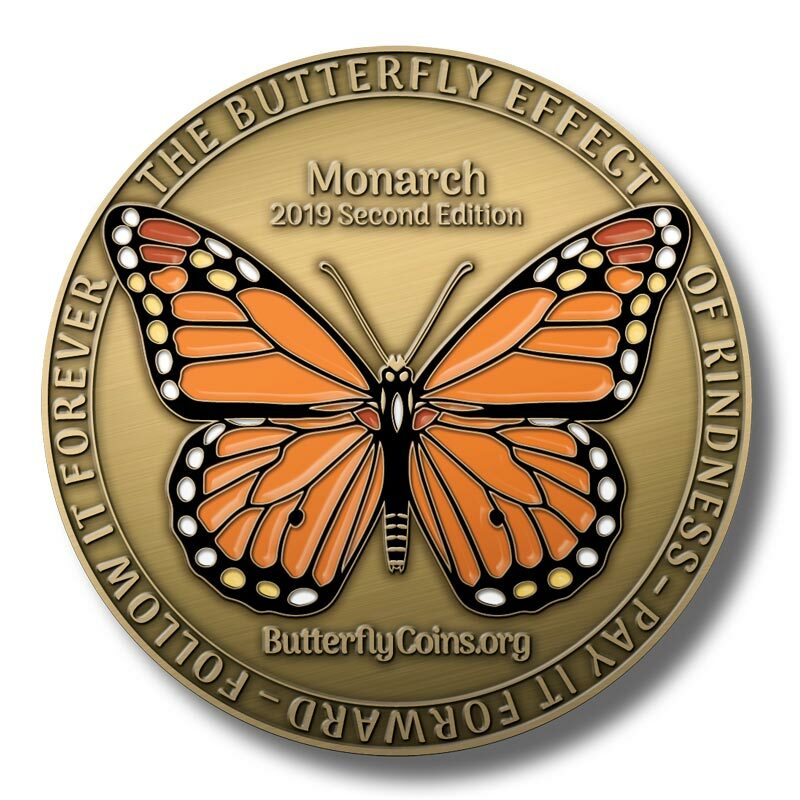 It is my hope that this butterfly coin reachs out and touch as many life's as possible and along its journey inspires us to be kind to one another and to pay it forward when given the chance. Lets see how far we travel and the effect we can have.